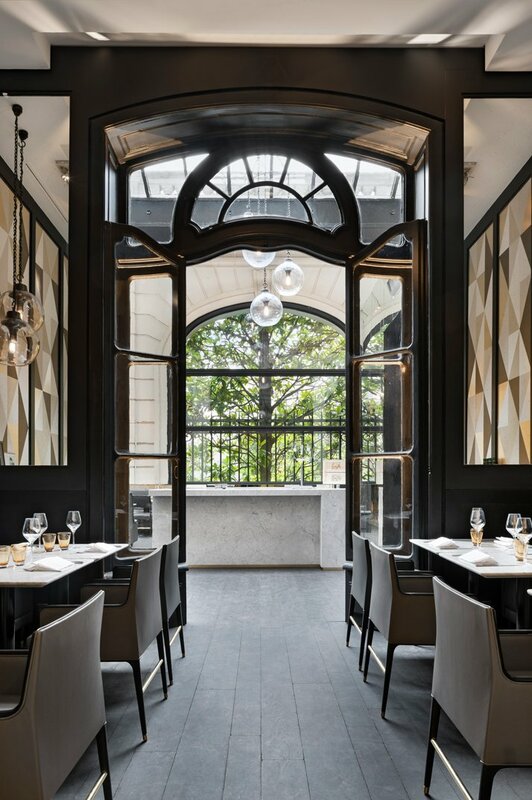 Charles Zana's new interior design for the well loved Parisian café Artcurial of the prestigious auctions house on 7, rond-point des Champs Elysées, references great 20th century design names such as Gio Ponti and Ettore Sottsass in a bold design that feels just as iconic as this established café's character. 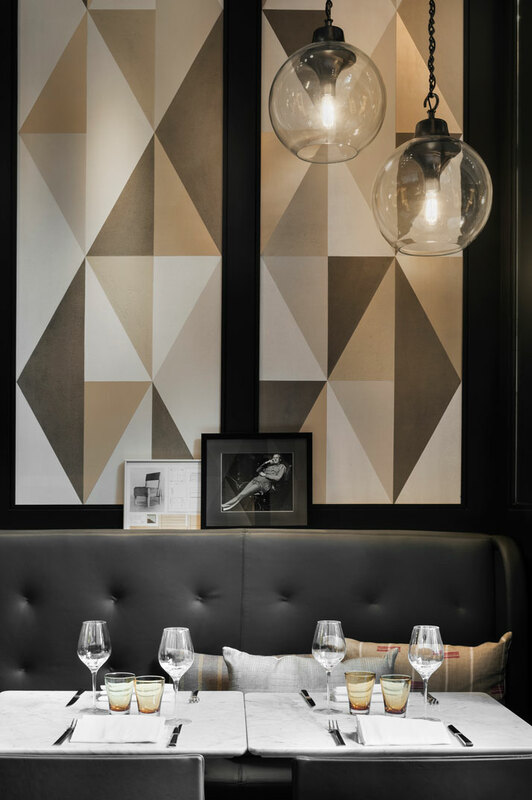 Zana's injected some astounding design features such as the darkened wood, fabrics and leather panels offset with some striking collector's pieces and bold shelving by Pierre Bonnefille. 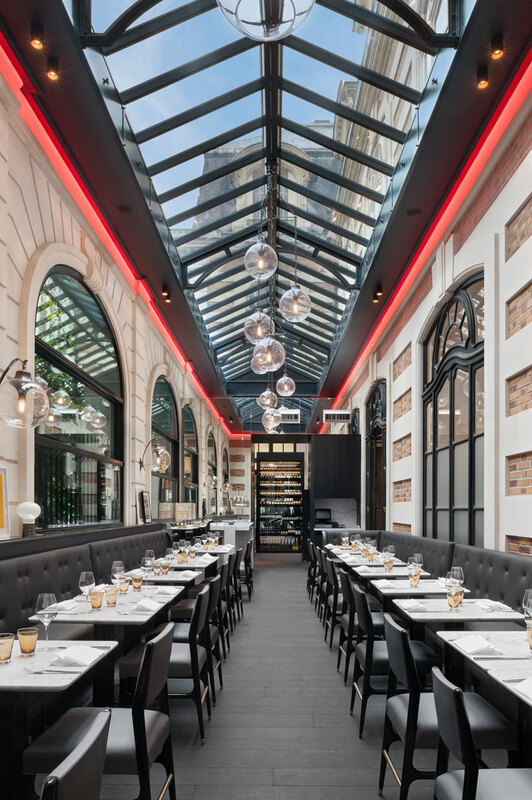 An incredible glass roof floods the space with natural daylight by day which by night, is enhanced by Azucena’s lightening, created in 1967 by Luigi Caccia Dominioni adding a different and equally incredible atmosphere. 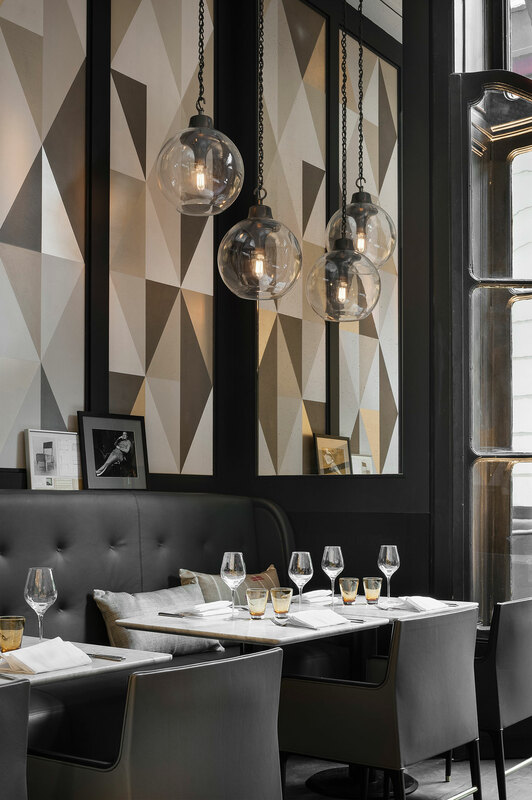 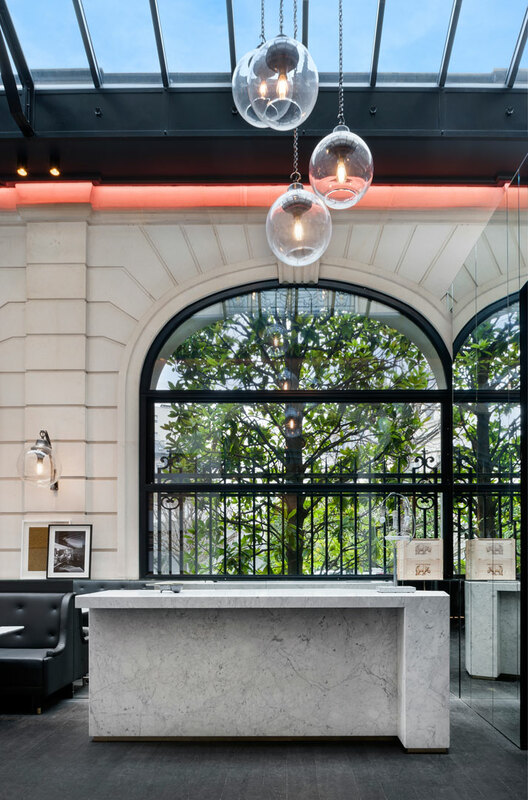 The two rooms are linked by a bar space consisting of a Carrare marble large high table. 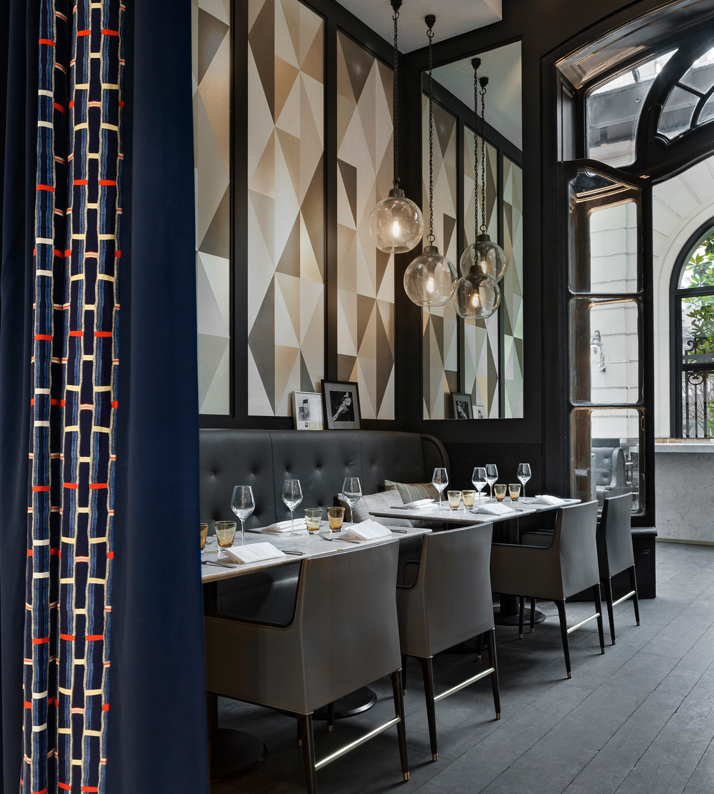 Zana's design for Artcurial provides a bold sophistication and incredible ambience that feels like the true evolution of this iconic café. 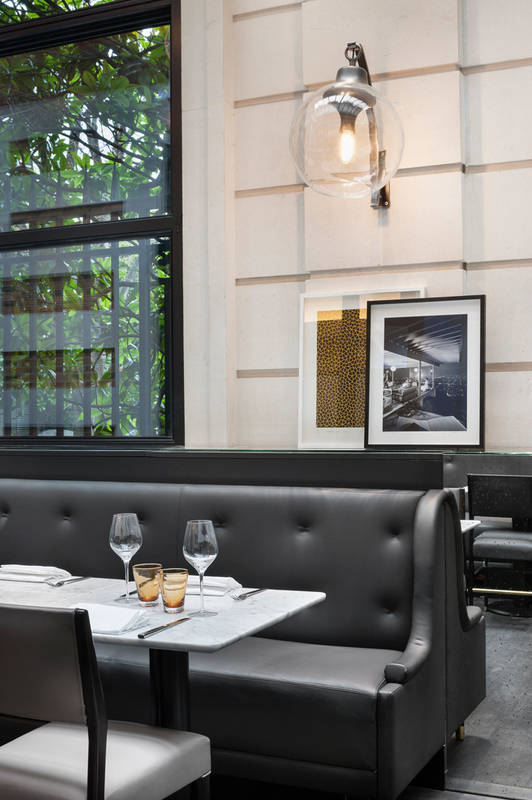 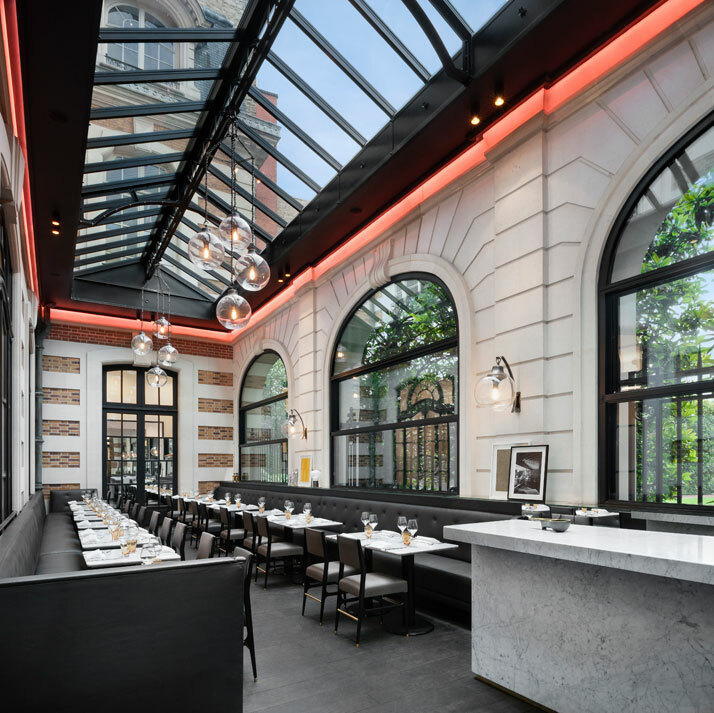 There's no doubt that more and more people will continue to visit and return to the revamped café Artcurial, ensuring it continues to be even more loved for times to come.